This week, the world’s first Cybathlon will take place in Zurich, Switzerland and today we present to you the second of the NCCR Robotics teams to be taking part in the competition, LeMano. The Cybathlon is the brainchild of NCCR Robotics co-director and ETH Zurich professor Robert Riener, and is designed to facilitate discussion between academics, industry and end users of assistive aids, to promote the position of people with disabilities within society and to push development of assistive technology towards solutions that are suitable for use all-day, every day. In our privileged position as presenting sponsor we are also proud to have NCCR Robotics represented by two teams: In the Powered Arm Prosthesis Race, by the team LeMano, and in the Brain Computer Interface (BCI) race, by the team EPFL Brain Tweakers. 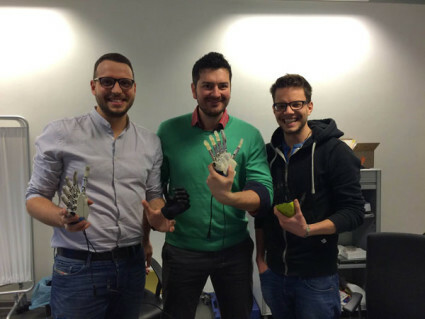 LeMano is a team from EPFL, which recently pioneered natural feeling restoration in people with upper limb amputations through functioning artificial arms – in fact, you may have read about them back in 2014 when they first published the results of their Lifehand2 bionic hand. LeMano are currently expanding their technology and testing it with new patients. 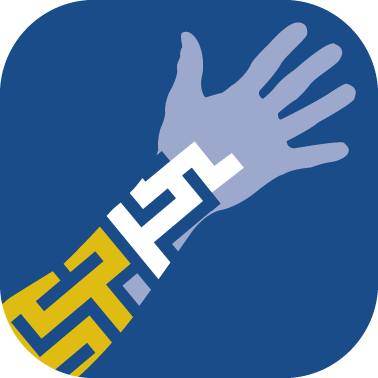 For the Cybathlon they have developed new control algorithms in order to enable more accurate and easier control of the prosthesis, to help with the precise and adaptive object manipulation required for the Cybathlon tasks, e.g. hanging up washing on a clothes line. 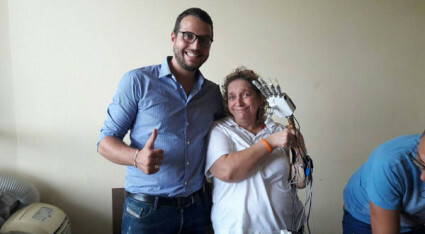 Their pilot is called Almerina, a proud wife and mother who wants to help society by giving her time to testing of innovative technologies, which she hopes will be an everyday reality in the future. 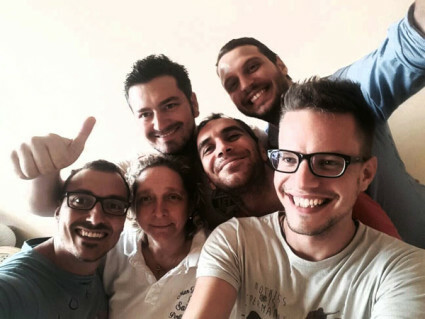 Team is leaded by Stanisa, and composed by Giacomo, Ivo and Francesco. Attend the Cybathlon in person or watch along live on the Cybathlon website to cheer along for LeMano!